Red Bull Racing ended Friday practice at the British Grand Prix quietly optimistic that better results could be around the corner. The ailing giant has gone from bad to worse this season, with chassis development hitting dead ends and Renault’s engine struggling for reliability. The team reached its nadir in the last two rounds in Canada and Austria — both power-hungry circuits — but the updates available in Silverstone have its drivers looking up, with Daniil Kvyat leading Daniel Ricciardo in fifth and sixth fastest in free practice two. “I think it’s a better day for us,” said Ricciardo. “Both cars in the top six is positive, definitely. “We had some updates. I think there’s potential in them. I don’t feel we optimised the setup to make the best use of them, but they’re already working quite well. While Mercedes looks likely to be in a race of its own this Sunday with Ferrari following closely behind, the fight for third looks to be a close tussle between Red Bull Racing, Lotus, and Toro Rosso. 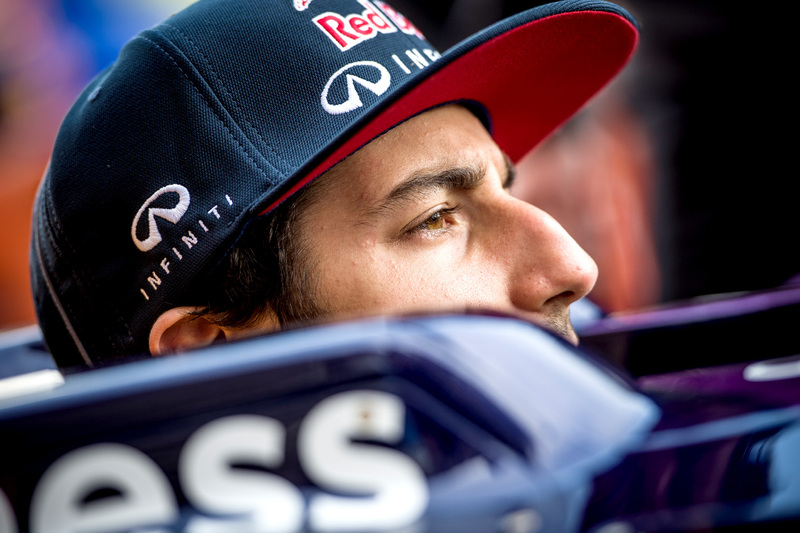 Ricciardo thinks the pace is genuine, though admits Friday pace is notoriously misleading. “I think Williams will close up,” he said “They always seem to be a bit more on the money on Saturday — probably they run more fuel on Friday or something. “I would say with the gap we had today we should remain in front of them, but let’s see what happens I think we’ll be happy with a top five tomorrow. Tyre have been low on the strategic agenda in the last few races due to Pirelli’s choice to choose conservative compounds. This weekend’s British Grand Prix is expected to be a one-stop affair, but warm and blustery conditions on Friday gave some hope that the opportunity to two-stop could present itself to a faring few come Sunday. “I think both tyres were giving us their own little issues here and there,” mused Ricciardo. “It was weird, to be honest. I couldn’t get any grip out of the prime this afternoon, then we put the option on and it was a lot more competitive. “The track temperature and the wind were playing quite a big part. If the track conditions stay hot, I think the race won’t be a one stop.